The journey began thirty nine years ago, in a five hundred square feet office space at Lahore’s historical WAPDA house. We had a vision to embark on a journey to create Pakistan’s leading engineering enterprise. Over the years, the spirit of our founders inspired our people to not just achieve the ordinary but the extraordinary. 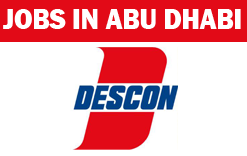 This belief became the foundation of Pakistan’s leading engineering conglomerate; Descon. Free Food, Accommodation and Transportation Provided.